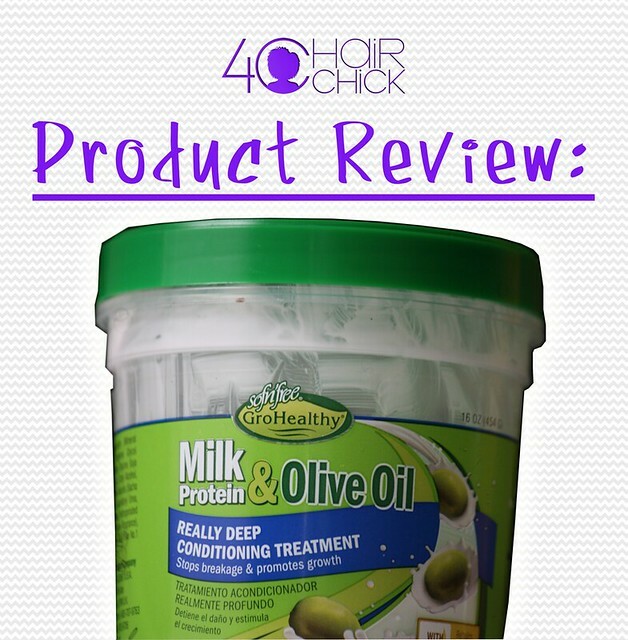 This week’s product review is the Sofn’Free Milk Protein and Olive Oil Really Deep Conditioning Treatment. Have you ever wished there was a Yelp for natural hair products? I know I have. For those of you who are not familiar with Yelp it’s a web-based platform that aggregates restaurant reviews. You can use the service to look up any restaurant and it pulls up details on the restaurant and reviews from people who visited the restaurant. The reason I love it so much is because you get to hear someone’s first hand experience with a restaurant which in turn helps you better assess whether it’s worth your time and money to go there. Product review posts on 4cHairChick.com work the same way. You get to weigh in on a product by leaving your remarks in the comment section. You can share some thoughts, post pictures, post links to your blog review of the product, or share links to your youtube review of the product – it’s all good. The whole community wins because then we have a one stop shop for product information. We get to read the feedback and decide if it’s a product we want to use. If you have used this product before, share your feedback in the comments section below the post. If you have not used this product before, but plan to use this product. Please consider coming back to this page after you’ve tried out the product to leave your feedback. You’ve heard my thoughts now it’s your turn! Please leave your feedback on this week’s product in the comments below! Feel free to post links to a review on your YouTube channel or your blog. Don’t you love it when that happens! I love when I find something that works. Healthy hair grows from the inside out. 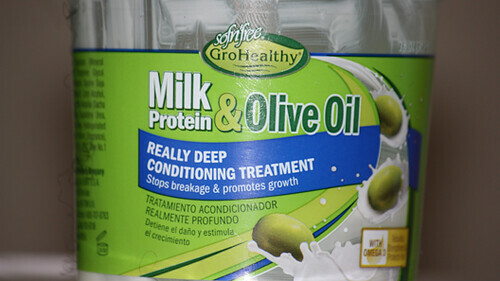 HOW DOES pouring olive oil, olives, and or milk protein on your hair, beneficial? EATING those things is the most beneficial, right? Exactly (lol)! It looks like a soothing good idea (for the scalp) but I hate for women to look at this product and think it will cure everything that is wrong with their hair (split ends, breakage, really bad dandruff, etc). This looks like another hair gimick. I think water and eating green leafy s, is everyone’s best bet. I’m using this product presently and its amazing.. it frees up the 4C hair so implausibly, you’ll love it. This deep conditioner is amaze balls!! LOL I used the single packet on my hair over the Thanksgiving holiday at my mom’s house….I was feeling lazy (yes, waaayyyy before the Turkey was even in the oven) and left this bad boy on my head for a full day. I could really feel the olive oil and protein properties working in my hair (there was a slight tingly feeling). I would highly recommend this product. Be Blessed. It works very well in my curly hair. It hydrates my hair and makes it more manageable; however, the effects only last for one week in my hair.